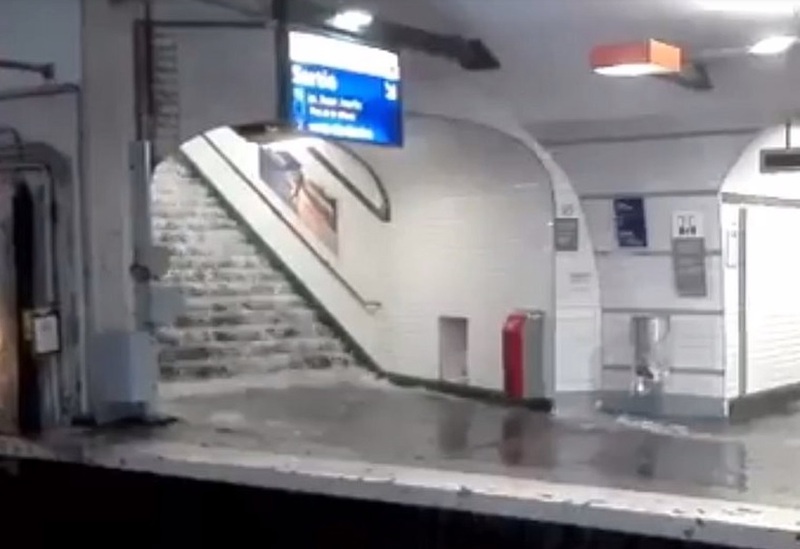 The Paris Metropolitan area since Sunday night has been drenched by thunderstorms and record high downpours, leaving several Metro stations closed and roads and houses flooded on Monday. National weather agency Meteo France placed 12 departments, including Paris and much of the surrounding area, on Orange alert, the second-highest level of warning, as electrical storms and heavy rain continued on Monday. Meteo France said in a statement that Sunday night saw a deluge of 49.2 millimeters in just 1 hour -- the highest one-hour rainfall total for July ever. Forecasts call for stormy weather and torrential rains to continue until Tuesday midnight.